IdentaMaster bundles are the best way to save on biometric device and software. 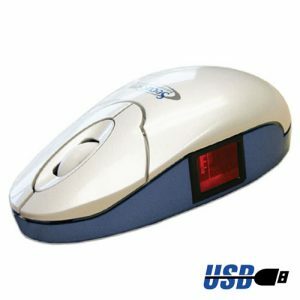 IdentaMaster is fully compatible with SecuGen Hamster Pro Duo CL and perfectly protects your valuable data. This plugin is designed exclusively for IdentaMaster and IdentaMaster Pro biometric solutions. 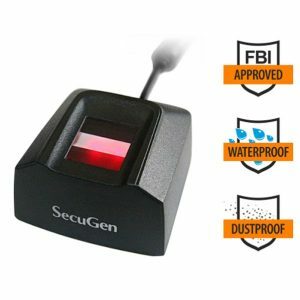 It allows you to connect SecuGen Hamster Pro Duo CL fingerprint reader to your main IdentaMaster application. 2. SecuGen Hamster Pro Duo CL USB fingerprint scanner. 3. SecuGen Hamster Pro Duo CL plugin. 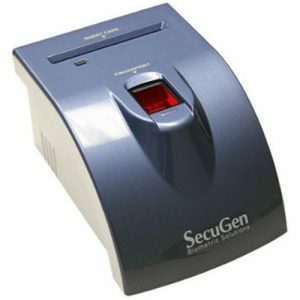 SecuGen Hamster Pro Duo/CL combines SecuGen’s newest U20 fingerprint sensor with an NFC / contactless smart card reader. Featuring a sleek, ergonomic design, the Hamster Pro Duo/CL is built with the industry’s most rugged and advanced optical sensor using patented and patent-pending fingerprint technology. 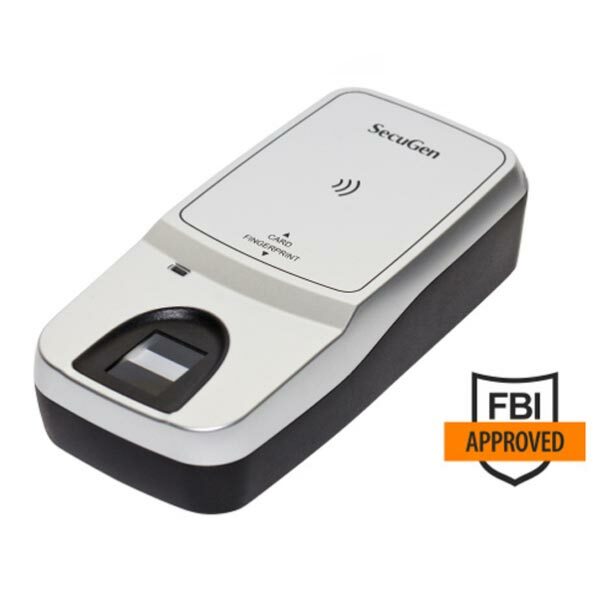 The high image quality fingerprint reader is FBI Certified as meeting FIPS 201 (PIV) and FAP 20 Mobile ID requirements. *Auto-On™ is an Automatic Finger Placement Detection technology that automatically checks for the presence of a finger. When used with Auto-On-compatible software, the Hamster Pro Duo/CL will turn on and scan your finger as soon as you touch the sensor – all without having to prompt the system. ** Smart Capture™ ensures quality fingerprint scanning of difficult fingers. By automatically adjusting the brightness of the sensor, Smart Capture allows the Hamster Pro Duo/CL to capture high quality fingerprints from a wide range of traditionally difficult fingers, including those from dry, wet, scarred or aged skin, and even in bright ambient conditions such as under direct sunlight.